It's been quite a while since I've said anything about IFTTT. a service that lets you create powerful connections with one simple statement: If this, then that. It integrates with over 80 different services. It can text, email, and notify you. 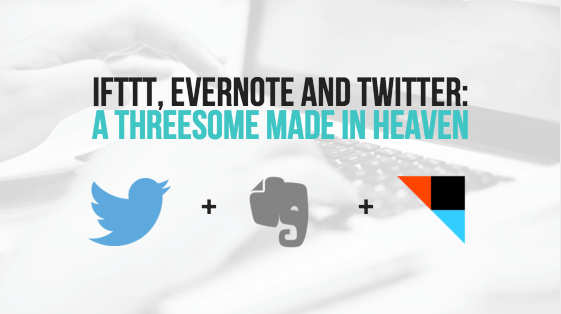 Let's delve in to all the possibilities when you hook up Twitter and Evernote in IFTTT. I use the Evernote service as my external brain. It's where all the stuff that I curate goes. I use it on my mac, my iPhone, iPad, and via the web. I've been realizing that I can use IFTTT in conjunction with Evernote to automatically save stuff that I know I want to save. Show you specifically how I save certain tweets to Evernote. 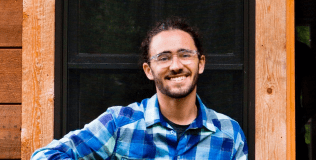 Do you need help coming up with a good IFTTT recipe? Leave a comment with some details- what services you use most frequently and how you'd like them to work together and I'll help you come up with some ideas!